Naezy also known as Naved Shaikh is an Indian rapper and songwriter. He is a rapper from chawls of Kurla, Mumbai, India. He was born on 10 August 1993, Naezy age is 25 years old (As of 2018). Naezy is famous for his rap style in which slangs of Mumbai are heavily used. Neazy’s flow and lyrics are having complex wordplay. In January 2014, Naezy released his debut single “Aafat“. The song went viral and it generates over a million views quickly. From that song, people started recognizing him and Naezy is also famous for his conscious rap and about real-life problems like Government, Hunger and many other social issues. 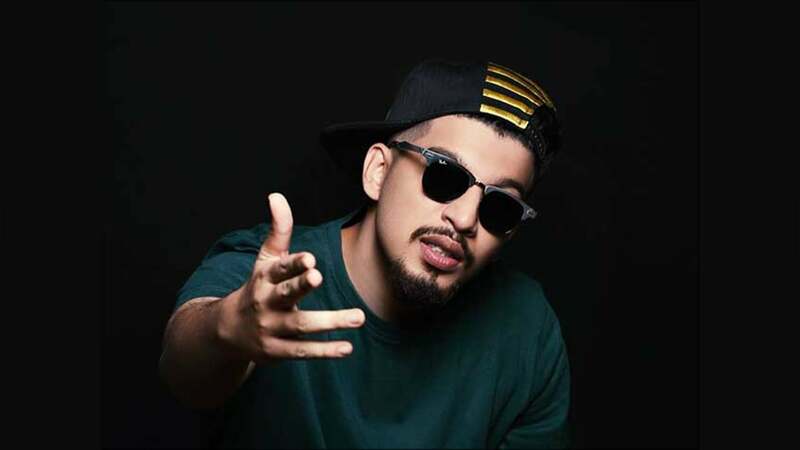 Naezy featured in songs such as “Birju” from the movie “Birju” and the song ” Rap Knock Out” from the movie ” Bank Chor” in which he and Hindi / Haryanvi Rapper Pardhaan were present. Also, the upcoming movie “Gully Boy” is inspired by struggles of the life of “Naezy” and “Divine” which is made by Zoya Akhtar (Film Director). Before doing rapping, Naezy used to live in a chawl in Kurla West. When he was in class 8 he listened to the “Temperature” by Sean Paul for the first time. He ‘ve been totally blown away after listening to that song. And at that time the internet wasn’t so easily available, so He went to a cybercafe and get a copy of Temperature song lyrics, and memorized it and practiced it till he got it completely right. He sang it in school and seemed to gather a lot of attention, everyone seemed amazed. Also, the girls were really easily impressed so he practiced harder. After some time He that realized He had a flow which the other boys weren’t able to recreate even after trying. That’s when Naezy realized his talent. After that most of my time, he would practice making his skills and vocabulary better. He was in Khalsa College in Matunga, He had been rapping for a long time now. Nikhil Naik and He formed a group to perform for college events and named it The Schizophrenics. That was the beginning of the Schizophrenics. Every day, after college or during breaks, Naezy and his friends would sit down and try rapping freestyle. This is when his ability to rap has taken shape and improved. He would randomly describe and create events in our raps in an instance. On the other hand, when Naezy’s first video became viral, it gave a tough competition to “Divine” (Vivian Fernandes) song “Yeh Mera Bombay” so he contacted Naezy. Then Naezy wanted to do something for his gully buddies, and that is how The Gully Gang was formed. It was a tribute to Naezy’s pasha people at 400070. Naezy grew up in a chawl, and his friends-circle belonged there. Naezy was very easily influenced as a kid he was into all sorts of things which he shouldn’t have been doing. When his parents realized that, They moved to an apartment in Kurla. At Kurla, He was always considered as a misfit and it created a rift between Naezy and his friends. Because of partiality, Naezy and his family were not even allowed to play in my Khalsa. Naezy had been in a deceptive and dark period of his life. All this added to his frustration and he wrote down all of them and created his first track Aafat, which Naezy wrote, recorded and made himself and released it on YouTube. Aafat became viral in no time and Naezy began to receive many good reviews from the rappers on the scene. You may also like to read about Divine, Emiway Bantai. These were the latest information about Naezy Rapper (Naved Shaikh) Biography, Height, Weight, Age, Wiki & More. Please do share guys this post with your friends and keep visit on NamesBiography.com for Indian celebrities biographical updates. You may share your experience or any kind of suggestion with us by leaving a quick comment below. Thank You!